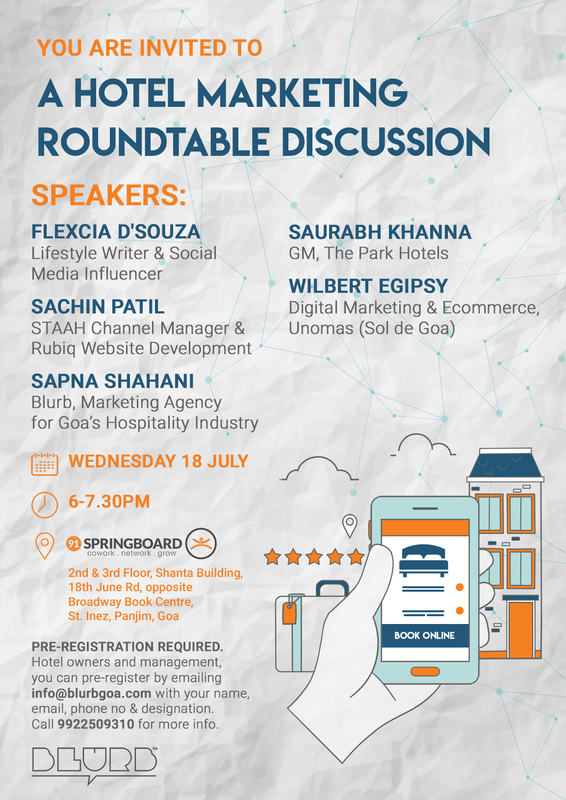 Blurb, a leading PR agency in Goa which caters to Luxury Hotels and Restaurant Industry is all set to host a round table discussion on the Hotel Marketing. Well known players from the industry will be seen taking the speakers position and throw light on the current industry standards. Names like Saurabh Khanna, GM, The Park Hotels, Sachin Patil, STAAH Channel Manager & Rubiq Website Development, Wilbert Egipsy, Digital Marketing & Ecommerce Unomas, Sol De Goa, would grace the occasion and raise the standards of such a round table discussion as they bring with them years of experience and are encyclopaedias of the industry in their own rights. Blurb was created to work in this area with a special focus on social media marketing. At the time, there were no agencies in Goa specialising in end to end marketing solutions for hospitality brands. Over the past four years, its success stories include most of Goa’s leading restaurant and hotel brands, such as the Black Sheep Bistro, Mustard, Simba Craft Beer, Habanero Goa, and Vivanta by Taj Panaji to name a few. The start-up was created by Sapna Shahani, an enterprising female entrepreneur who spent her formative years in the tech rich city of San Francisco, California and later returned to her hometown Mumbai. 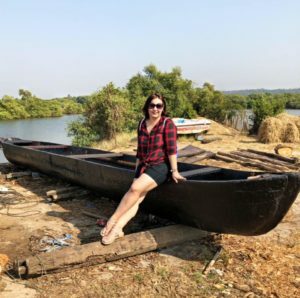 Goa was always a home away from home where she spent family holidays, so setting up business in Goa felt more comfortable than the overcrowded business capital of Mumbai. Sapna completed a fast-track MBA course at the Indian School of Business (Mumbai) which was specially designed for working women entrepreneurs. This gave her the confidence to make the shift from TV/ documentary production to running her own full-fledged PR and marketing agency. “Blurb aims to promote innovative businesses in the hospitality space and only plugs businesses that we believe in. Hiring a consultancy like Blurb is like taking out an insurance policy for your business. An external set of eyes helps you take customer-centric decisions to advance your brand’s relevance in the market. In today’s fast-paced world, there are so many marketing activities that entrepreneurs need to do to stay visible that it makes more sense to engage specialists for this responsibility, who have the bird’s eye view of the industry,” remarked Sapna. Since its inception, Blurb has worked with premium five star hotels like Fort Tirakol to niche cafes and restaurants like Artjuna. ‘Every business has a unique story to tell and the Blurb team knows how to share it’. This catch phrase helps build the right brand perception in the eyes of the customer. So what are you waiting for, if you want to hear the industry experts speak their knowledge out, pre-register yourself for the event and make the most of it.